In our always-on-the-go, distraction-filled, anxiety-provoking world today, it can be hard to make time for being still—for quiet moments that don't always seem "productive" on the surface. As the cofounder and former CEO of Intermix, a mix-and-match designer boutique with 40 stores across the U.S., Khajak Keledjian had the quintessential demanding schedule and fast-paced life of a top business executive. Then he was introduced to meditation. Khajak went from being unable to sit still for 15 minutes to being the go-to friend for meditation tips. He says meditating brought him a new sense of awareness; it grounded him throughout the day. After Intermix was sold to Gap in 2013, he was in search of a new project. 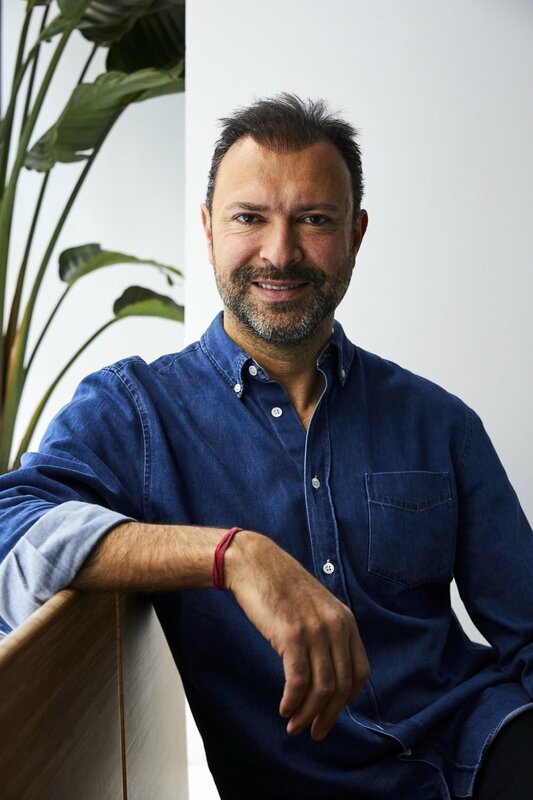 He realized he could combine his success in the fashion world with his passion for meditation, and Inscape, a NYC-based meditation studio, was born. 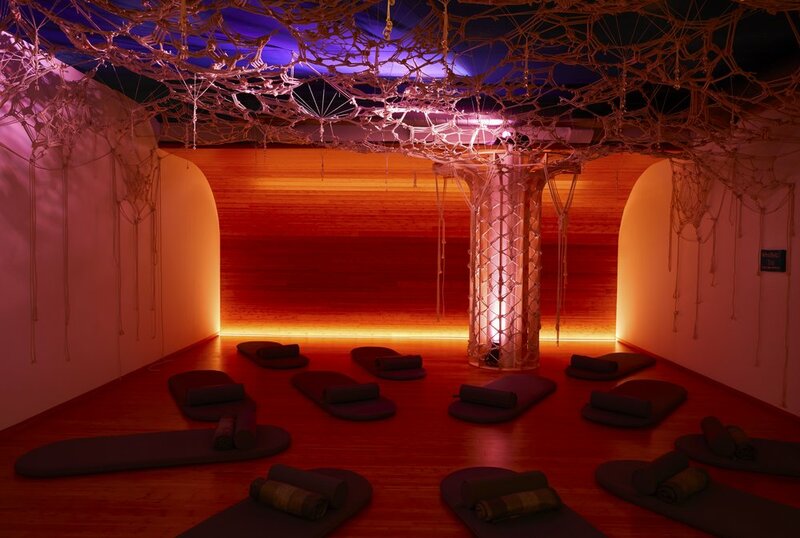 Here, Khajak, 44, talks about collaborating with famed Dutch architect Winka Dubbeldam, how meditation helped him when the economy crashed, and why his practice has become an essential part of his life. "I first met Winka Dubbeldam about 10 years ago when I was at Intermix. Then, two years ago, we called her to ask if she knew any designers who would be interested in our project. We thought it was too small for her, but she was actually inspired by the idea. Turns out we have parallel interests in yoga and meditation—Winka’s been meditating since her early 20s. She naturally recognized the interplay between aesthetics and meditation. We designed collaboratively. Working with someone who authentically understands not only the design you’re imagining, but its essence is invaluable." "Ten years ago, my life was like Times Square: overstimulation, noise, screens, distractions 24/7. It was all I knew, and I was proud to be able to handle my life in overdrive. I thought it was working for me. After I sold a piece of my business, a friend congratulated me. I told him the excitement was wearing off and I didn’t feel fulfilled. I’d been chasing a carrot and now what? He told me I needed to look within. He bet me I couldn’t sit still for 15 minutes. After he won the bet, he introduced me to Kundalini yoga, the yoga of awareness. From there, I grew my meditation practice." "Meditation has brought me mental clarity, awareness and focus. I realized that when you have heightened awareness, it impacts the way you live every part of your life—the way you work, eat, socialize and sleep. I used to place two orders of French fries without realizing how much I was eating. Now, I can eat three, four or five fries and I actually get the sense of feeling and taste. This awareness grounds you and you carry that centeredness throughout your day. When I walk, I try to feel where my feet hit the sidewalk, heel to toe. This helps you connect with yourself, and the better you connect with yourself, the better you can connect with everything around you—from the air you breathe, to the food you eat, to the people you meet and the adventures you discover." "Being a busy CEO when I started meditating helped me find answers to tough decisions that weren’t in the books. I started meditating when the economy crashed and I needed answers you couldn’t Google. Meditation helped me harness my intuition, think clearly and take bold risks, like selling my business and starting this one. Meditation reduces stress and cortisol levels—and people everywhere are overstimulated and stressed. With reduced cortisol, you’re not activating your fight-or-flight response—so you can respond more and react less. Rather than blowing up if something doesn’t go as planned, I take a breath and focus on how to get back on course, whether it's budgets, timelines, a surprise meeting—anything that catches me off-guard... My compassion has increased. This also helps me in my personal life, as a husband and father." "Everyone always saying they're tired: vitality and improved sleep are priceless. Meditation helps you sleep better, and deeper. I wake up without an alarm, feeling rested. Our app’s sleep section helps me get my little girls to sleep, and it helps me relax and reset. You have 1,440 minutes in a day. Taking 20 minutes to tap into yourself—that's self-care, a new dimension of luxury. Meditation has shifted. It used to be about spirituality, but now people understand its benefits, the science and how it can empower them to connect to their best selves, to live to their fullest potential, to be present. Meditation is an extension of a movement toward self-care. In a few years, meditation will be integrated into daily life just like yoga is now. Sixty years ago, if someone said they were going running, people would have asked who was chasing them. Now running is common. Thirty years ago, yoga seemed like a foreign concept and now it's part of many people's daily lives. We want to share Inscape, making meditation and relaxation accessible to everyone, empowering people to integrate these practices seamlessly into their contemporary lifestyles. After all, we are human beings, not human doings."